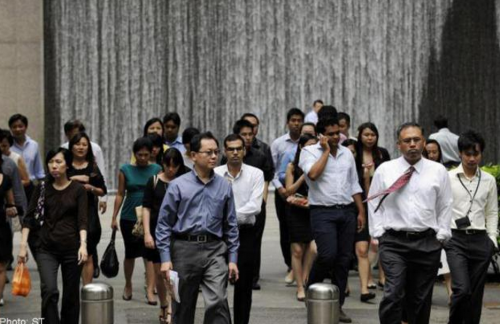 More than 91 per cent of employees in Singapore believe that refreshing their skills every five years will enhance their employability, according to the Randstad Q1 2015 Workmonitor. This is the highest number recorded in the survey involving 400 workers in 34 countries. Hong Kong came in second at 85 per cent, while New Zealand and Australia came in at 81 per cent and 80 per cent. Sixty-six per cent of the workers in Singapore who believed in upgrading their skills also said that they believed their newly acquired skills would be useful for their entire career. Randstad's Country Director for Singapore, Mr Michael Smith, said the figures show how employees in Singapore recognise the importance of upskilling in order to stay relevant in today's competitive labour market. "It is increasingly vital for employees to continuously look at ways they can improve their existing skills or gain new expertise. This will not only enable them to advance their careers amid a fast-changing business landscape, but also contribute to workplace productivity." At the same time, it is imperative that employers embrace the need for workforce development and provide their employees with the relevant opportunities to upskill, he said. "Developing the skills of employees will enable organisations to drive workplace productivity and innovation, as well as increase employee retention. This is especially important given the ageing workforce and the tightening of foreign worker quotas in Singapore," he added. The research also found that 94 per cent of Singapore employees believe in lifelong learning regardless of age. Employers should thus promote professional development activities across the workforce, Mr Smith said. The Randstad Workmonitor compiles results from a study conducted with workers who clock a minimum of 24 hours a week in a paid job (not self-employed). The survey was held between Jan 21 and Feb 5 this year.